Summer is skeleton-crew season. Surveys show that about 44% of Americans take a vacation during the summer months, which means there are fewer IT staffers on the job between Memorial Day and Labor Day, and more line-of-business employees attempting to work remotely from their beach chairs. June, July and August are also popular months for enterprises to adopt cloud infrastructure and migrate their data centers toward virtualization. These factors add up to a perfect summer storm for IT outages. We've already seen evidence of this problem this year. Facebook recently suffered its second outage in as many months, and the US State Department is still recovering from severe problems with system performance in its database that have left many thousands of travelers stranded abroad. Last year, it was Southwest Airlines that took the hit, when a computer failure led to the cancellation of 70 flights and created hundreds of unhappy customers. Today, businesses and those they serve expect always-on IT that performs better, faster and more consistently than ever before. Those expectations don't take a summer break, so neither can infrastructure performance. Unfortunately, as the demands for performance escalate, so have the challenges around meeting them. The advance of virtualization, adoption of the cloud and proliferation of mobile devices has created increased data volumes and greater complexity in the enterprise. IT leaders are expected to guarantee speed and reliability in highly taxed infrastructures. When outages occur, the abstraction in those infrastructures makes it difficult to determine the underlying causes. That's why prevention of problems is so important, particularly during the problem-prone summer months. To minimize the crippling effects of infrastructure slowdowns and shutdowns, organizations need to take several steps to minimize risk. Few public cloud vendors have in-depth visibility into the performance of the cloud's infrastructure. Without those granular performance metrics, companies can't meet service level agreements (SLAs) for specific application response times. Broad public cloud SLAs for availability don't cut it for mission-critical activity, so keep those workloads off the public cloud. With infrastructure optimization tools, IT can holistically monitor the entire private cloud infrastructure. Real-time and historical data allow teams to make proactive decisions to maintain I/O capacity, utilization and performance standards at the network, server, storage and application layers. Large enterprises need the ability to replicate critical applications and data in times of disaster – whether that disaster stems from summer's skeleton-crew conditions, worker error or natural events. To ensure that the long-distance links between the core infrastructure and the recovery site will perform as intended, IT needs to monitor their usage and spot problems immediately. These are steps IT teams should be taking now to prepare for next summer. Comprehensive infrastructure monitoring and management programs can help organizations get ready for the dog days when staffers go on vacation, stress systems with higher levels of user-generated traffic, and migrate to virtual or cloud environments. 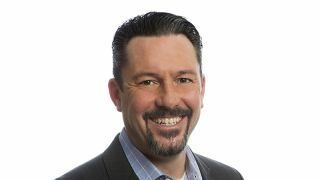 John Gentry is the vice president of marketing and alliances at Virtual Instruments.